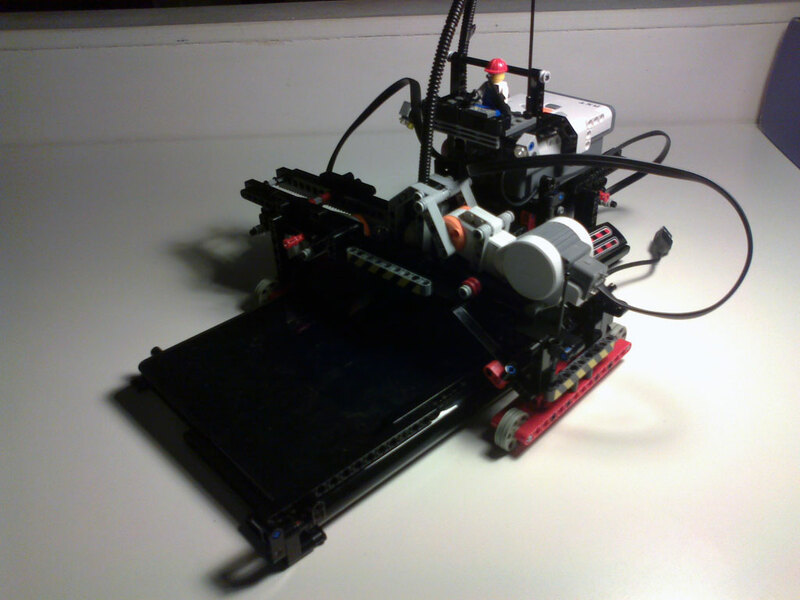 After some day of building, conding, and testing, I publish the first photo of my Lego Ruzzle Solver. 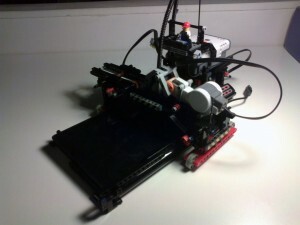 The robot use 3 NXT motors: one for x-axis movement, one for y-axis movement, and one for move the “finger” up and down. To decrease friction, the two movable parts of robot are supported on rigid wheels, like a bridge crane. A curious thing: the capacitive touchscreen of the tablet require human fingers (attached to human body) to dispatch touche event. Because attach fingers to lego mindstorm motor require detaching fingers from my body, I have discover that conductive sponge is a very good alternative, and because vegetal sponge is conductive, I have buy it at supermarket for 1 euro saving my real fingers.